Zoe Schaffel (daughter of writer Vivian Manning-Schaffel) is an almost 6-year old rabid artist and illustrator who infuses inanimate objects with human personality. Ha! 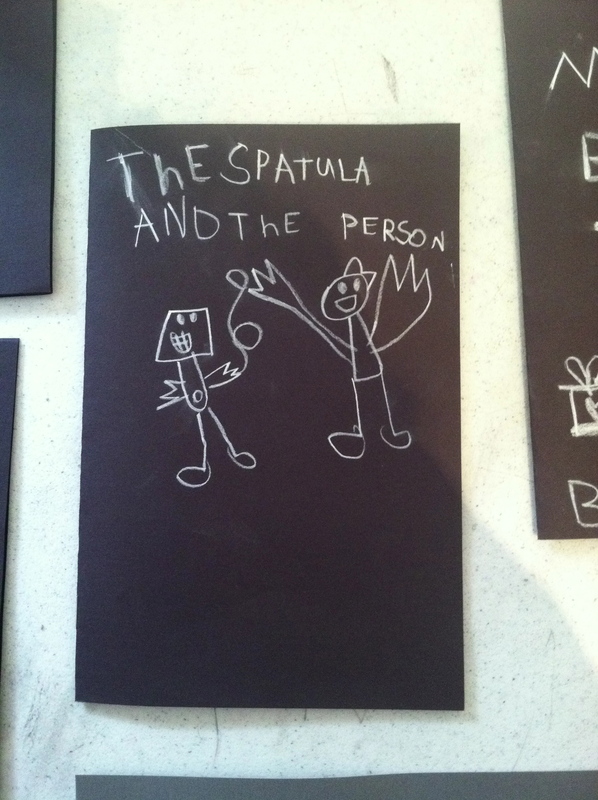 I like that the spatula has a belly-button.